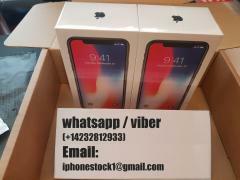 iPhoneX, 8.8 +, 7+, Galaxy S8 + and Antminer L3 +, S9 Viber / WhatsApp. + 142 в Украине (galaxy, iphone) • В обороте. Бесплатные объявления Украины. Быстро купить, продать в Украине! Sale of Apple iPhonex, 8,8+, 7+, 7,6s + and Samsung Galaxy S7 Edge, S7, S8, S8 + and Antminer L3 +, antminer-s9, antminer-d3, MSI GTX1080 graphics cards, RX580,470 is a new release, affordable at a wholesale price, supplied with a set of accessories (well packaged and sealed in the original box of the company) !! Sale of Apple iPhonex, 8,8+, 7+, 7,6s + and Samsung Galaxy S7 Edge, S7, S8, S8 + and Antminer L3 +, antminer-s9, antminer-d3, MSI GTX1080 graphics cards, RX580,470 is a new release, affordable at a wholesale price, supplied with a set of accessories (well packaged and sealed in the original box of the company) !!!! It is a factory that has been opened and comes with a 1 year warranty and can be used with any sim card worldwide.